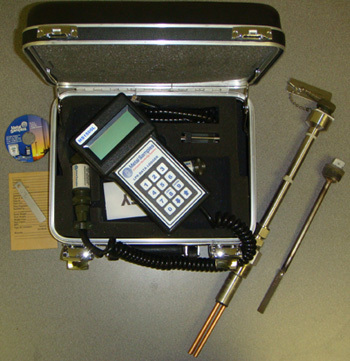 Accurately monitoring the corrosion rates in your systems is critical in reducing maintenance and repair costs. This process can save hundreds of thousands in company overhead costs. Without the proper corrosion monitoring and system maintenance, equipment operators are not able to see problems until they arise and by that time the problem has already escalated into a much larger issue. And by this time, the damage has already been done. Corrosion monitoring confirms the success of a water treatment program. It allows us to define and address problem areas with the water treatment program. To monitor corrosion rates, Synergy utilizes corrosion coupons, scale coupons, mesh bio film coupons, and electronic monitoring instrumentation. Corrosion coupons are metal samples that are installed in coupon racks for a specific period of time. Pre-installation attributes are recorded and then our highly trained technicians compare them to the post installation results. With this data, we are able to assess the success of our treatment program. These results reveal the amount of corrosion, system life expectancy and reflect the system’s protection level. At Synergy Water Solutions, we work to streamline this process for your company’s equipment and we focus on the main goal – which is to reduce your overhead costs and increase equipment efficiency and productivity.